I had a ball playing NBA Jam be it in the arcades or home video game console. 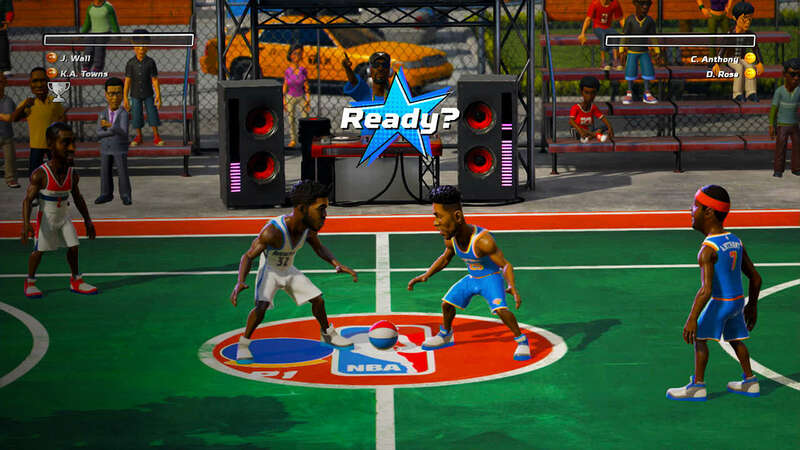 So it brings me quite the nostalgia when I discovered that NBA Playgrounds has already been released. To make matters interesting, the game is also available for the PC Steam. That said, I will be exploring how this title plays out. 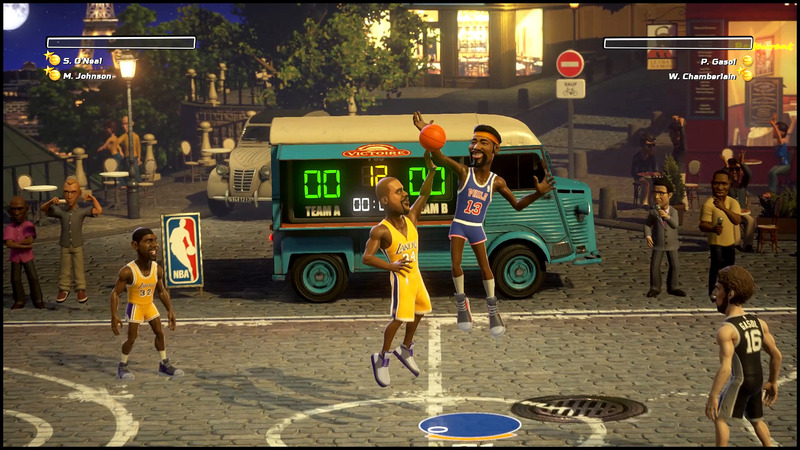 NBA Playgrounds would be considered as an arcade-style two vs two basketball game. For those of you who never been exposed to NBA Jam, it’s no big deal as the controls are easy to figure out. The buttons’ commands are well laid out and simple to remember. Making your shots is executed with a simple press of a button. But I do suggest playing with a controller, especially if you’re on your PC. Timing your shots is vital to successfully getting your ball into the basket. But it can be frustrating to figure out. Still, it is a challenge that once determined can be rewarding and satisfying whenever you execute successfully. You can steal or even push your opponents down shove the opponent to steal the ball. Again, this is a little unorthodox when considering basketball rules. However, this is NBA Playgrounds and in this world, those rules are thrown out the window. It’s a love-hate relationship: on one hand, it’s funny when you pull it off on your opponents, but on the other, it’s a combustion point when you keep getting pushed down. The real highlight is those crazy dunks that you can make your basketball player perform as you get to see some amazing moves. Keep note that there is a meter that builds up as you execute dunks, trick shots and rejecting your opponents’ shots. Once it fills up to the maximum, you will be granted a power-up. The effects of these are random but adds fun to the mix. Some can make your player run faster while others can triple your points. These inclusions of power-ups may be unconventional but it makes the competition much more exciting with a lot of twists that can happen suddenly. While playing NBA Playgrounds, there is a stamina meter that is important since your ability to pull of dunks depends on it. Keep in mind that this meter does deplete whenever you use it to effectively steal your opponent’s ball or even to run around quickly. So use your stamina wisely! The multiplayer mode is where the game can be very interesting. Playing against friends and “shoving them in the face” can be a satisfying moment. There is an online mode, but to unlock it, you just need to win the first local tournament match. Regardless of local or online, playing against your opponents who are not AI is a lot of fun. What gives NBA Playgrounds is replay value is the number of basketball players and accessories you can unlock. It encourages gamers to come back and revisit to get hopefully their favorite player. You can raise your in-game stats, which also adds to the game’s longevity. 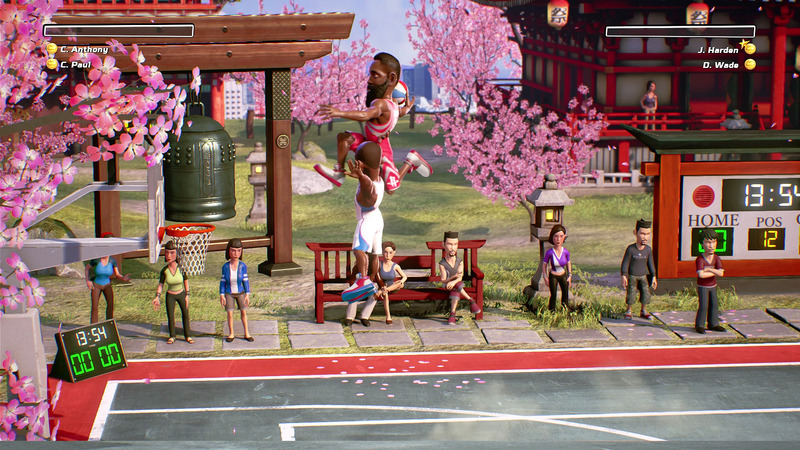 Graphically, NBA Playgrounds looks fantastic. The environments considering it consists of mainly a basketball court. Nevertheless, the attention to detail and the color arrangement makes the visuals a pleasure to look at. 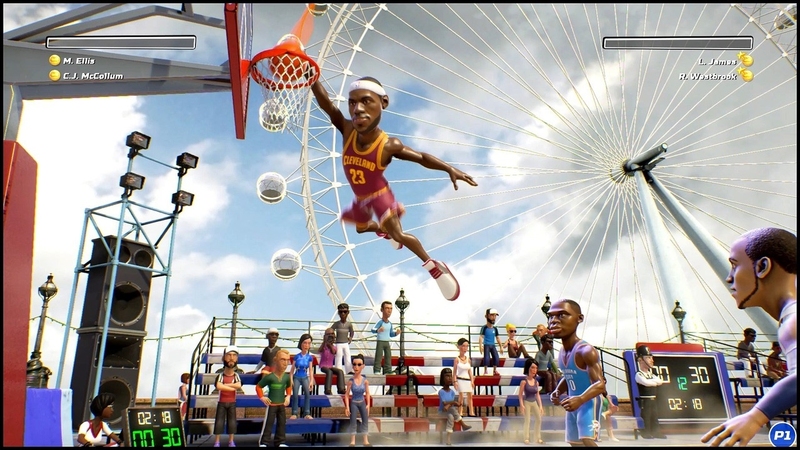 The basketball players themselves have a cartoon-like appearance with the relatively larger head, which is nostalgic of NBA Jam’s secret mode. So far, I see value in NBA Playgrounds. It’s a great sit-down-and-play type of game. And even if you’re not a fan of sports, this arcade style and over-the-to approach in basketball does make this title lively and exciting. NBA Playgrounds is available for the PC Steam, PS4, Xbox One and Nintendo Switch. If you can throw away the conventions and rules of basketball, you definitely have to check this one out!